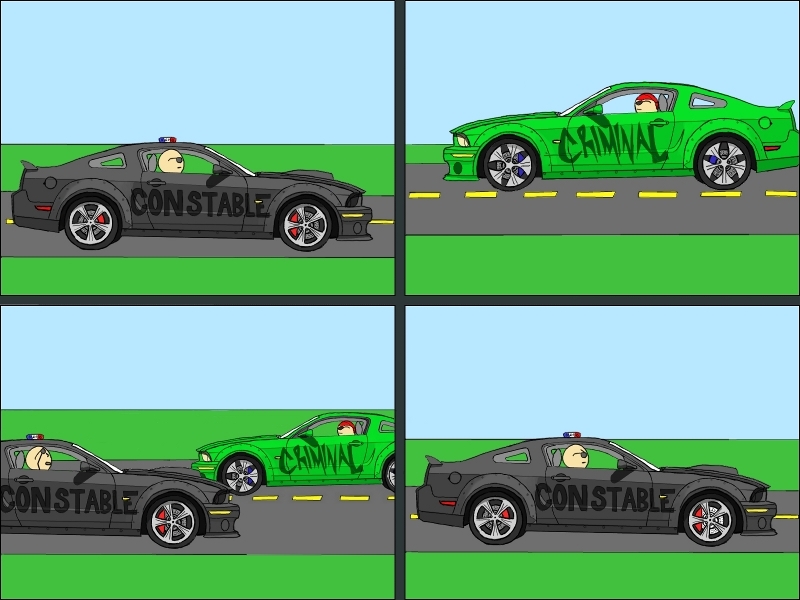 I saw a cop car in austin the other day that looked pretty much like the one in the comic, it said constable on the side. I got to thinking and decided if I had a mustang like that, I would heavily consider putting criminal on the side. Nice drawing, but I don't understand.